This is too important to have you dig through the site. You can also find this under the ASEA page on this site. This just in, the Palmer Elks Golf tournament is just getting started. The planning committee is going, the date has been reserved. June 8th at the local links and the registration forms are in my possession ready to hand out to all. So without further ado, let the registration begin. I don't golf but this looks to be a wonderfully fun event. Get your team together, get a sponsor for your team, sign up to be an "ad hoc" player waiting to get placed on a team, whatever it takes, sign up for this annual Palmer Elks classic event. The first 72 players who pay their entrance fee will be getting a vest (which is appropriate for the event) for signing up and paying their entry early. 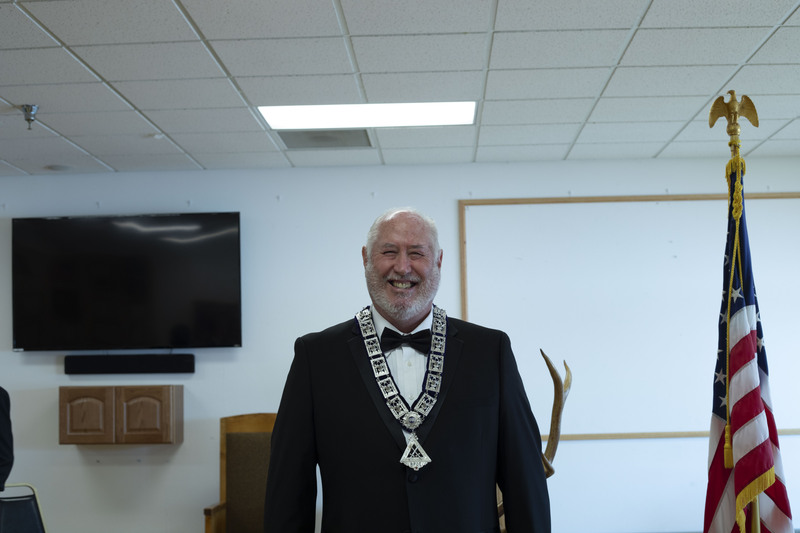 On 31 March, 2019, the lodge installed the new officers for the new lodge year. Congratulations to Bob Coffin, Exalted Ruler; Brian Davis, Loyal Knight; Tamara Stadem, Lecturing Knight; Mark Vingoe, Tiler; Larry Michaelson, Inner Guard; Sabrina Alvarez, Chaplain; Madonna Southcott, Secretary; and John Douglass, 5 Year Trustee. 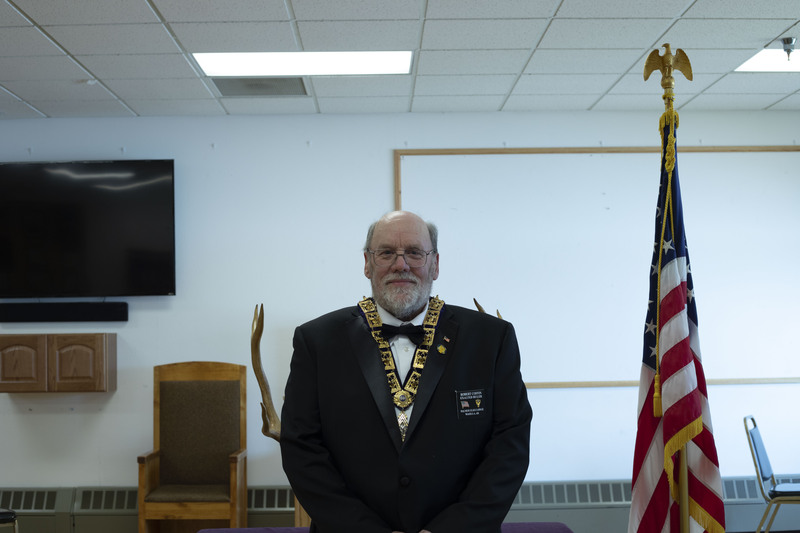 Exalted Ruler Bob Coffin is still looking for individuals who are ready to step up in the lodge for the following officer positions: Leading Knight, Treasurer, and Esquire. 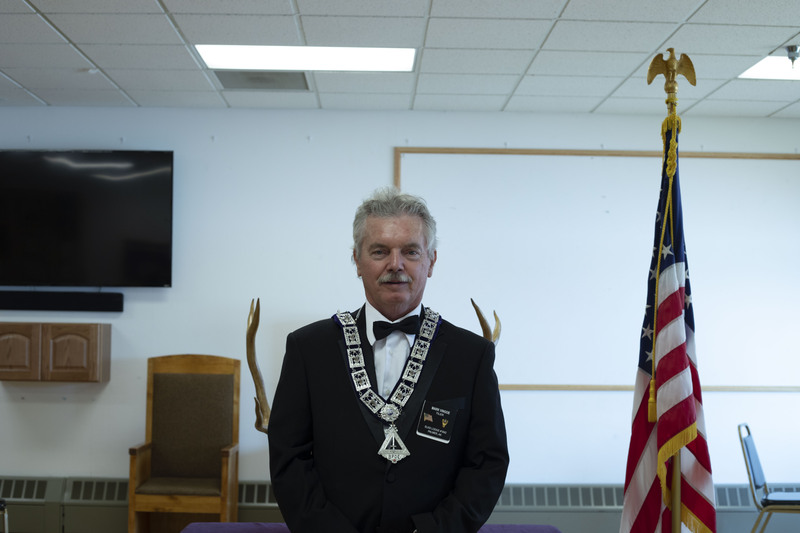 If you are ready to do more for your lodge, please contact Bob and let him know. You will be the better for it. When you see them around the lodge, please thank them for stepping up to fill the positions. Finally, check out the pictures of the installation under the new Installation page in the Gallery Section. A new page has been added to the website. Check out the new page on the website, it is the Maintenance Corner. On this page are listed some of the projects our maintenance committee is working on. Please help John and the rest of the committee get these tasks completed. Right now there are not a lot of jobs listed, but I know John and he will soon have me putting many more tasks and jobs to be completed on the page. Our new website has been up and running since 1 January. Throughout the first three months, several suggestions have been made, several changes have been done. The website is still actively growing, don't stop making suggestions. As new pages are added, it will be announced on the "Home page" portion of the site. The new page will also be categorized under an appropriate menu heading so you will be able to find it at a later date. After being announced, the notice will eventually be removed from the "Home page." The page will still be available, you will just have to use the menu system to get to it. On-going efforts to incorporate a store front for on-line payments of dues and donations is still being looked at. While the concept of on-line payments and the implementation is actually straight forward, the ultimate question is how much does the lodge want to pay for this feature. Research and discussion are on-going with this feature for the web site. 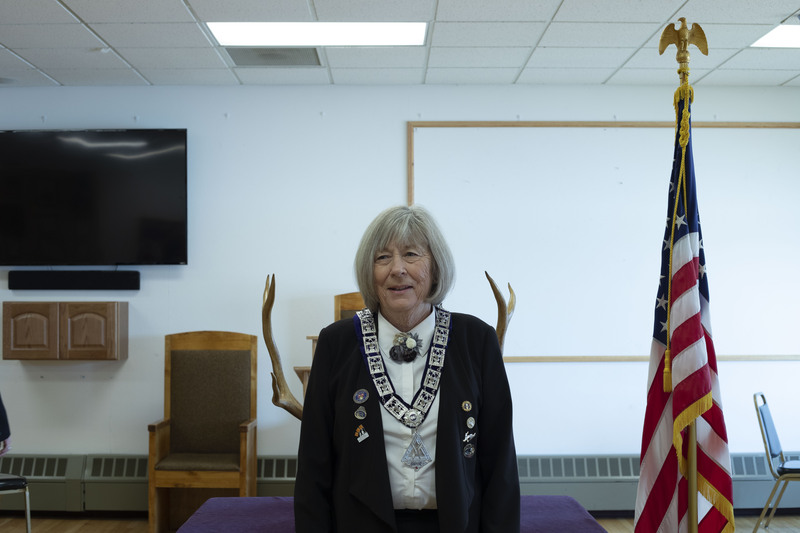 The intent is to have a reasoned out decision that will benefit the lodge and the members. Finally, as you look at the web site of your lodge, if you have comments, suggestions, or other things like photos, please say something. Don't let a good idea go by. March 18th, volunteers are cooking a meal at Fisher House on JBER. March 20th, House Committee budget meeting. 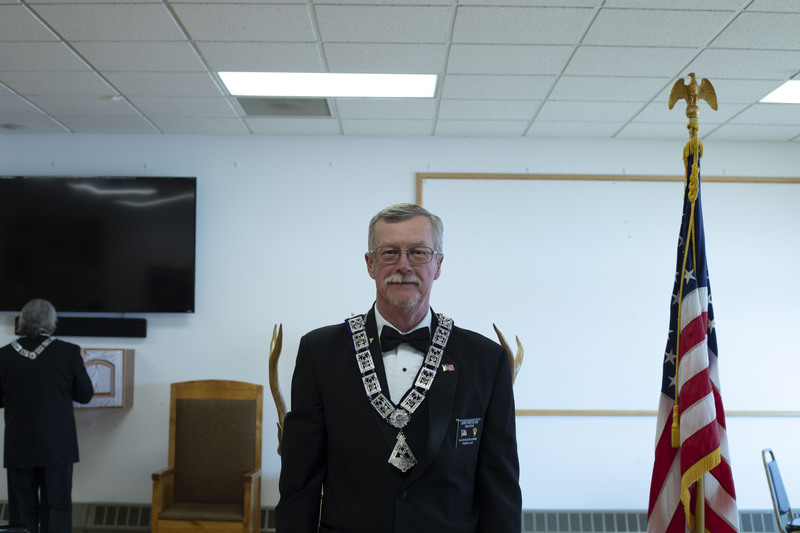 March 31st, the installation of new officers at the lodge will take place in the dining room. 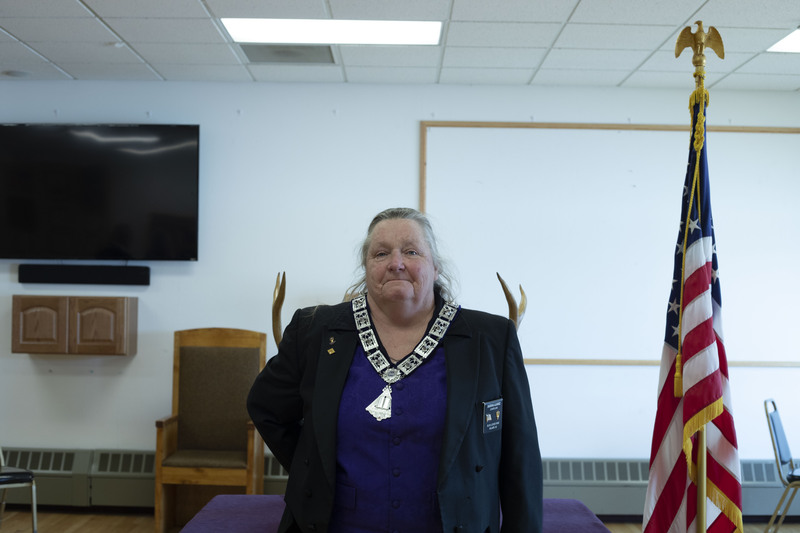 Bob Coffin will be taking over the reins of leadership as the new Exalted Ruler. He is still looking for some officer positions to be filled as well as some committee positions to be filled. April 6th, the "Liar's Club" Fish Fry. Come on down and enjoy a fish fry put on by our "Liar's Club". You know who they are, they are the ones that are always telling stories about their fishing conquests. They are stepping up and dishing out all their favorite recipes for fish. Don't miss it, for a minimal cost, you too can enjoy the fish and the stories that go with them. And coming up fast, June 8th. The Annual Palmer Elks Summer Golf Classic. This event is shaping up to be a fun event. Plans are being made now for the event. Get your registration done now, the link is above. The first 72 players to pay their registration fees will be receiving a nice vest appropriate for the event. Also coming up shortly is the Spring craft fair. All of the booth space is filled up and it is shaping up to be a nice craft fair. This is a two day event. 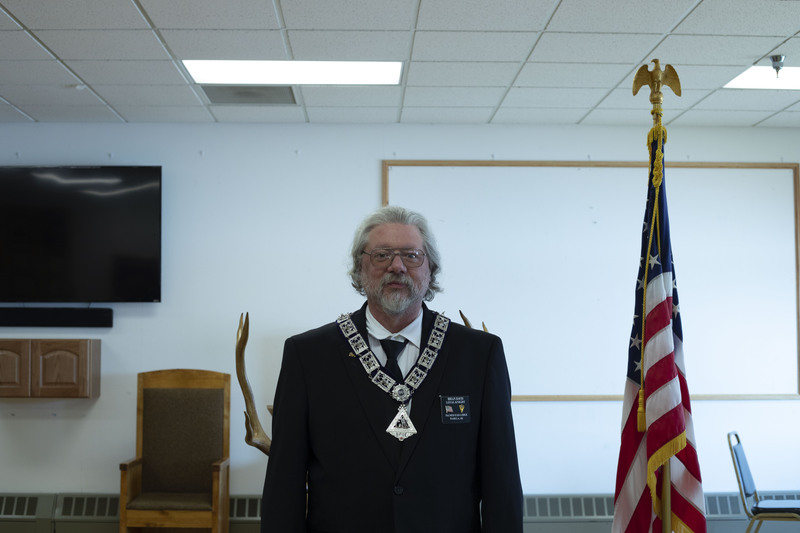 For those interested, Eagle River is installing their officers on 30 March and Anchorage is installing their officers on 6 April.